Cost for Drinks – “Mad Goose” Ale – £3.49; Soda Water – FREE! 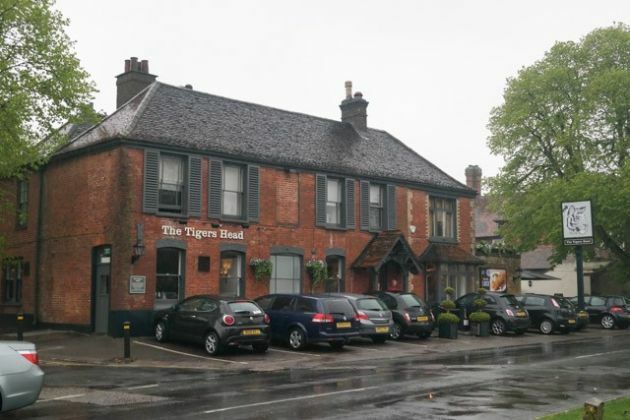 We had been to the Tigers Head in Chislehurst, Bromley a number of times for evening food. In fact, we visited one Sunday about 2 years ago, the experience was a bit of a let down with the food too cheap in quality. They had a new menu out though, so as we were looking for somewhere to eat with Claire’s mum and husband (Yve and Bob), it seemed a good time to give them another go. 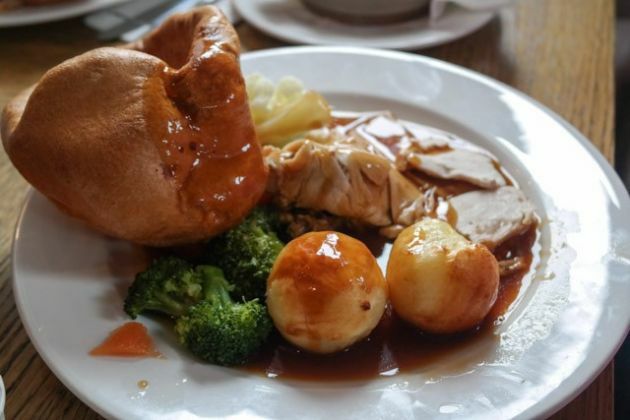 Reserving a table is very necessary at The Tigers Head on Sunday, especially if you have children – it’s a popular pub and can get extremely busy. I phoned a few days before and was fortunate to be able to get a window table for 12:30. We were met at the door and shown to our table. I remembered that it had been closed for refurbishment. With freshly decorated walls, stone tiled floors and light coloured exposed wooden beams, it gave the impression of being a country inn. Being a pub, they had a good selection of drinks, including lager, ale, wine and soft drinks. I ordered an intriguing ale called Mad Goose, Claire asked for a pint of soda water. They had two ‘levels’ of lunch, the standard and ‘Sunday Best’. JW (our 15 month old baby) had a children’s roast turkey. Yve and Bob both ordered the turkey too. Claire and I copied each other and ordered the Sunday’s Best roast Lamb. 2 portions of cauliflower cheese was also requested (at £1.49 each). Lunch came out very quickly. 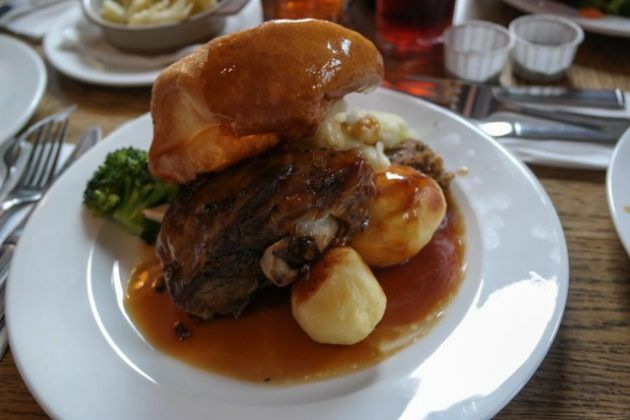 Our Sunday Best lamb on the bone was served with pigs in blankets, stuffing, carrots, broccoli, cauliflower and a huge Yorkshire pudding, as well as 3 roast potatoes. Yve and Bob had 2 large slices of turkey, stuffing, carrots, broccoli, 3 roast potatoes and also a Yorkshire each. Tucking in, the lamb was a bit too salty for my liking, but it was very tender and fell off the bone. The roast potatoes were nice, and I was pleased the vegetables were cooked perfectly (with a slight bite). 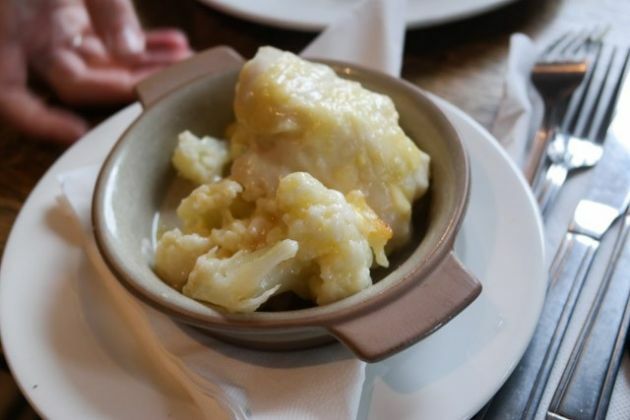 Lastly, the cauliflower cheese was delightful – cooked well with a slightly burnt top making extremely crispy cheese. Yum! 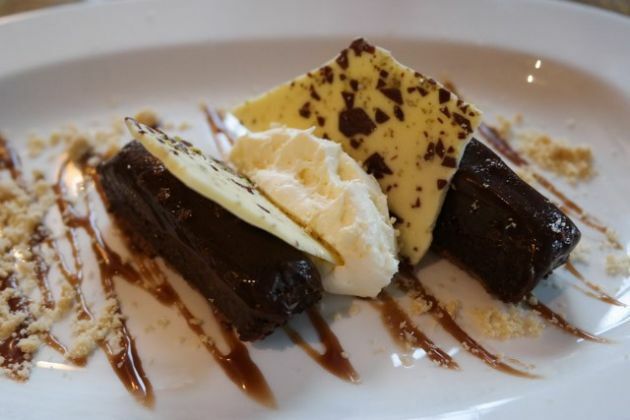 The Tigers Head had a good selection of desserts. 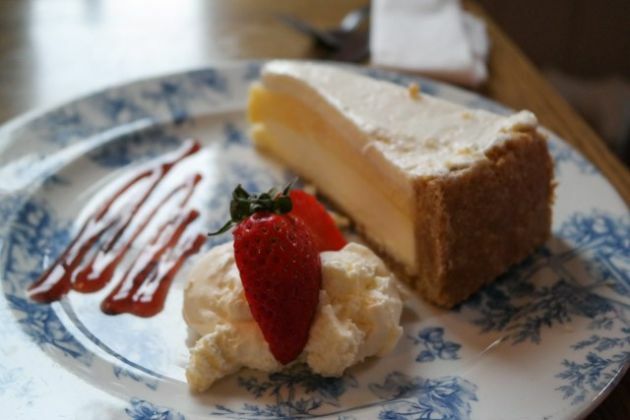 Bob ordered the baked lemon cheesecake, I asked for the chocolate orange truffle torte. The cheesecake came out quickly and was a very large serving. Bob was very happy :-) My dessert was not what I was expecting, but was extremely enjoyable indeed. I didn’t have high expectations with newly refurbished Tigers Head but in fact it was a good experience. The service was friendly and professional, as always. The decor has been improved, and now feels like a light country inn (especially when looking out the window and across the green). The roast breast of turkey was good value at £8.99. The lamb was so moist and just fell off the bone. A good selection of vegetables, and the cauliflower cheese was a welcome addition (at a small cost). Dessert was equally enjoyable. I wished they had added some form of children’s changing facilities as it would have otherwise been perfect for people with young children as well as older ones. As it is, a recommended experience at The Tigers Head and I look forward to visiting again soon.